Amendment on break of diplomatic relations with Russia was indeed included to the bill on securing the sovereignty of Ukraine over occupied Donbas territories. The initiators of the amendment were MPs from Ukrop Political Party. This was stated by the deputy from the People's Front Andriy Teteruk on the sidelines of Verkhovna Rada on air of 112 Ukraine TV channel. Teteruk said he knew about this amendment. It is a proposal to the Cabinet of Ministers on the severance of diplomatic relations with Russia within three months. "In fact, such an amendment was actually filed and Mr. Vinnyk commented that he agrees with this amendment, this is his personal position. All that will be adopted by the committee will be recommended for voting or rejected but the final position will be taken by the parliament, giving 226 votes for it. 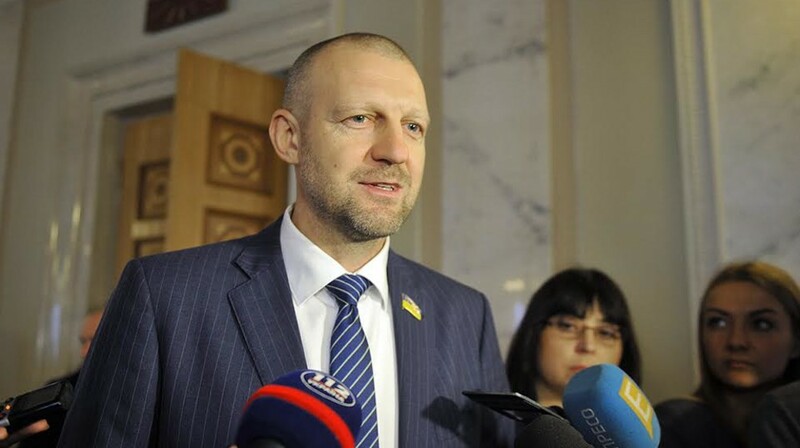 This amendment exists, it was submitted by a group of deputies from the political party Ukrop, where they offer the Cabinet within three months to break off diplomatic relations with Russia, "he said. People's Deputy added that any changes to the draft law before consideration in the second reading should be brought in accordance with national interests. "Such decisions, I think, need not an emotional component, but a more balanced cold attitude of politicians who must understand their responsibility for such decisions ... Every decision that we will take, it requires discussion and acceptance from the state position, which will meet national interests, " Teteruk said. As it was reported earlier Kremlin said that breaking diplomatic relations between Ukraine and the Russian Federation would complicate the situation in Donbas and "hurt" the interests of the people of both countries. This was stated by Russian president’s press secretary Dmitry Peskov. "This is a sovereign decision of Ukraine (the decision to break diplomatic relations with the Russian Federation. In Ukraine, in recent years many decisions that had the most negative consequences for settlement of the conflict in the south-east of the country have been made. Perhaps, if such decision is made, it will additionally complicate the situation, and most importantly, it will damage the interests of people both in Ukraine itself and in Russia, "he said.